FIFA Corruption: "Friends in the Media"
The FIFA Corruption trial in Brooklyn is over now comes the question who really broke the story of high-level bribery and corruption in international soccer? Clue – it was not the sport journalists. FIFA Press Conference, Marseilles, France (December, 1997). In the HBO TV series Game of Thrones one of the traditional great families of Westeros defeats a rival upstart family. After the battle, there is a meeting in their family hall to call their liege lords and banner men to account. Some of them had been loyal to their family, but others had either sided with their opponents. During the meeting, the various purported loyal nobles frantically come up with excuses as to why they did not honour their oaths. The same thing is going on now with the FIFA story and many of the sports journalists who cover the organization. For so complete, so over-whelming and so utter has been the victory over the ranks of corrupted FIFA executives, that now many in the media are scrambling to publicly disassociate themselves with their too-cosy relationship with FIFA executives. The guilty convictions at the Brooklyn trial of the FIFA executives under the organized crime RICO statues legally prove that almost everything within the organization had been corrupted: much of the ticketing rights, corporate sponsorship, marketing, broadcasting rights and the hosting of major events. However, the troubling fact is that while FIFA was full of deeply corrupt executives for decades, few of the media pack that regularly covered the organization openly confronted or investigated them about it. The journalists who originally broke the story were not sports journalists but mostly independent investigative journalists. Now, some of the most sycophantic sports media people are scuttling to pretend that they aggressively reported on FIFA or even that they “broke” the story of the FIFA scandal. 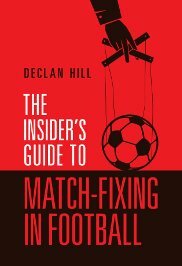 The first book that comprehensively exposed FIFA corruption was the German-language Das Milliardenspiel: Fusball, Geld und Medien in 1998, by the superb Jens Weinreich (https://www.jensweinreich.de) and Thomas Kistner (https://www.amazon.de/Das-Milliardenspiel-Thomas-Kistner/dp/3596138108). The English speaking media was galvanized by David Yallop the investigative journalist who in 1999 published How They Stole the Game (an excerpt is above – https://www.amazon.com/They-Stole-Game-David-Yallop/dp/178033401X) I specifically mention these books because at that time it was enormously difficult to get the stories of FIFA corruption published in book form. The threat of legal action was a very real and present danger to these journalists. Their work was helped by other media people. Here is an incomplete Roll of Honour of some the big names in the fight (There are other journalists who contributed to the fight whom I accidentally omit but the list is not long): Jean-Francois Tanda, Patrick Oberli, Urs Schnell, Keith Botsford, Brian Oliver, Olukayode Thomas, Ezequiel Fernandes Moores, David Conn, John Sugden & Alan Tomlinson of the University of Brighton, the I-Teams (note not the sports departments) of Der Spiegel, the Sunday Times and the Sunday Telegraph. Then, of course, there was Andrew Jennings. No one better represents the fight against high-level fraud at FIFA then Jennings. I remember meeting with him in 2002 at a Play the Game conference where he brought his background covering organize crime to the FIFA story. 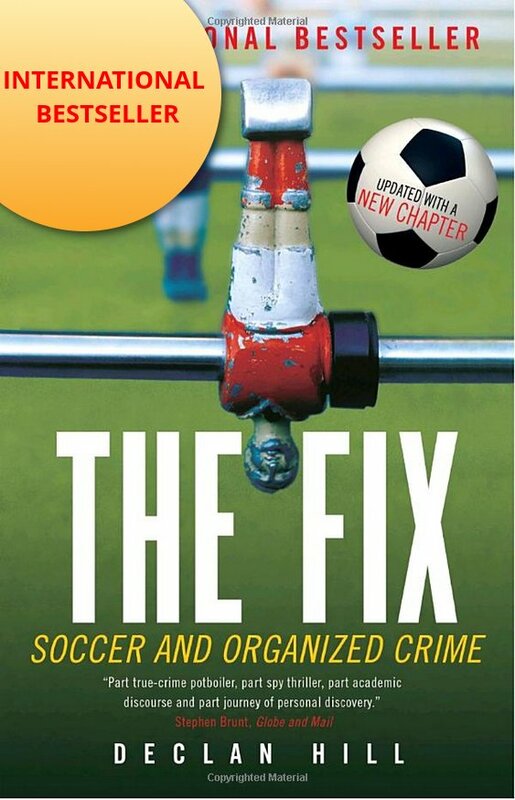 He explained that FIFA was essentially a mob organization that functioned delivering ‘protection’ to its association members who were in trouble with their own national police forces in return for votes and secret payments. It is pretty standard stuff now, but back then it was deeply controversial and most of the media would not touch it with a twenty-foot barge pole. It would be difficult to think of a British journalist writing about sports who has had a higher international presence (his books are translated into 15-languages) in the last two decades than Jennings. So you might expect Jennings to be a perennial winner of the ‘British Sports Journalist’ of the Year award. In fact, Jennings has never won. Strange – as the people giving the award describe it as the ‘crème de la crème’ of British sports writing. Perhaps it has something to do with the award being ‘sponsored’ by UEFA the organization that runs European football and presumably benefits from friendly coverage by the ‘crème de la crème’ of sports journalists. In fact, in 2010 – in the days leading up to the infamous awarding of the 2018/2022 FIFA World Cups to Russia and Qatar – Jennings was attacked in the press by many English sports journalists as ‘unpatriotic’ for exposing FIFA corruption. Few incidents better capture the bizarre relationship between much of the FIFA media pack and executives. Here were sports journalists attacking the man who exposed the corrupt officials who found to be rigging the votes. Some of this relationship can be explained because of the circle of media consultants and image companies that surround FIFA and help influence the media pack. Much of what football/soccer fans read about FIFA has, in some way, been placed by one of those media consultants. For these companies do more than help FIFA executives with press conferences – they help plant sympathetic stories with picked, pliant journalists, or they set-up “independent agencies” or “experts” who promulgate their ideas and sound-bites. In the research for my next book I have had the good fortune to have been given hundreds of pages of documents between some of these media consulting companies, the “independent agencies” they helped create and some of the prominent journalists and academics who purport to cover the FIFA story. There follows a list of some of his media contacts who will – he promises – all work for the candidate without mentioning their links to him. The list makes for very interesting reading in the “sports integrity” world and I will provide more details and name names in the book. For the question becomes no what did sport journalists miss about the FIFA story but, what other scandals are they missing now? The English FA is not fit for purpose. All they are intetested in is self preservation. They are helped by the media who don’t want to rock the boat! This is why the scandal at Blackburn Rovers has never been put in the public domain and led to changes.